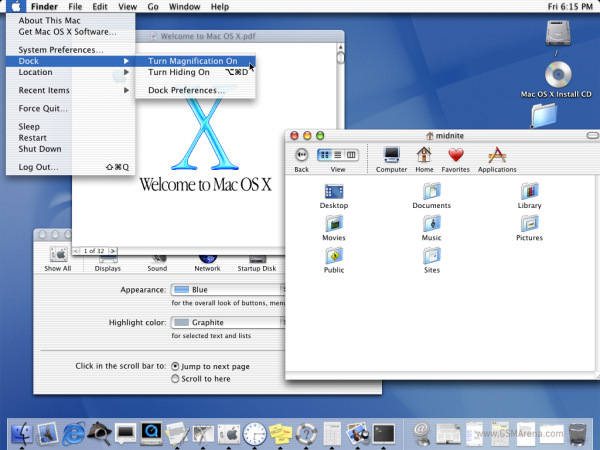 Happy 10th anniversary, Mac OS X! Today marks the completion of the 10th year of Mac OS X existence. 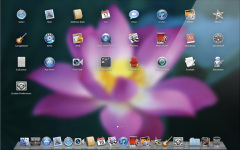 The OS X has gone a long way through those years – abandoned the PowerPC architecture, adopted the Intel one, dropping the Classic apps support and brought completely new looks, tons of new features, apps, services and utilities. The first Mac OS launched way back in 1984, while the Mac OS X was publicly released on 24 March 2001. Today we are already looking forward to the next major release – Lion, which will finally create a bridge between the Apple mobile platform iOS and the desktop OS X. The Mac OS X releases are all named after big felines – Cheetah, Puma, Jaguar, Panther, Tiger, Leopard, Snow Leopard and Lion. 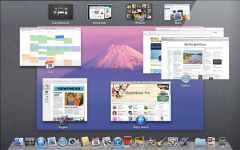 The latest Mac OS X – 10.7 Lion – is expected this summer. It will bring TRIM support for the SSD drives (already included in the latest Snow Leopard because of the new MacBook Air); new looks; unified Expose, Spaces and Dashboard into Launchpad; full-screen app mode (as long as the app itself supports it); iOS-like app current state auto-save when closing, new multi-touch gestures and scrolling; and many more features. The new version will drop the Rosetta support for Classic apps and Front Row app. It also won’t come with Java and Flash pre-intalled, but naturally you will be able to install them if you want. We are yet to see where the Mac OS X and the Macs are heading, but I bet Apple is preparing a touch-enabled laptop – a mix between an iPad and a MacBook. But one thing is sure – Apple has a plan (so far a quite successful one) and a clear vision for the future of its products and software. That can’t turn bad, right?